Does dandruff cause hair loss? Could there be a way to link these two issues? These are some of the most common questions people suffering from either dandruff or hair loss or both ask themselves or others. As a matter of fact, dandruff is extremely common. And sadly, it is a chronic condition. That means, there is no permanent cure for this health issue. The most prominent characteristic of this problem is flaky white skin that covers your shoulders and appears on your hair. This loose skin comes off your scalp. The uppermost layer of your scalp has dead skin cells on it. When these dead skin cells begin to fall off your head, things turn ugly, and this problem is popularly referred to as dandruff. These skin flakes are the biggest reason why people with dandruff feels intense itching on the scalp. And when they scratch their head with their nails vigorously to ease the itching, dandruff gets aggravated. To get rid of this problem you should pick the best shampoo for dandruff and itchy scalp. One thing you’ll, however, have to keep in mind here is that dandruff doesn’t cause hair fall directly. There is an indirect relationship between these two problems. This means, when you suffer from an itchy scalp caused by dandruff, you generally itch your head with your nails. The stroke of nails causes the dead skin cells of the scalp to fall out. As a result of which dandruff gets intense and hair starts falling. A lot of studies dedicated to finding the link between hair loss and dandruff suggest that there is no direct connection between the two. It is actually the routine scratching that accompanies dandruff that causes hair to fall off. Around half of the women who suffer from both of these problems have no idea that these problems don’t have a cause-effect relationship. Even if there is a relationship, you have a big role to play in it. 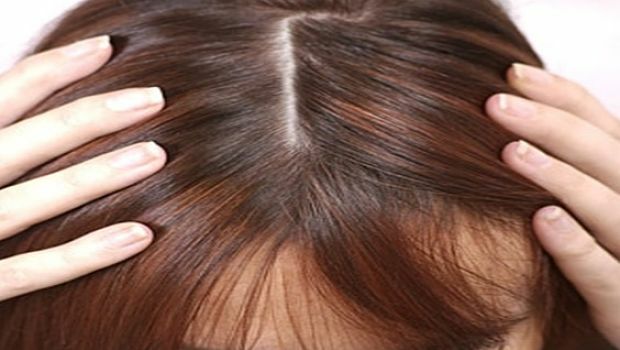 It is because you fail to control scratching caused by dandruff on your head that leads to hair fall. Dandruff is a condition in which the scalp skin becomes extremely dry. This dry skin makes you feel like scratching your head all the time. A lot of people suffer from dandruff and hair loss due to presence of a condition called dermatitis. Dermatitis is a common problem and more often men suffering from hair loss also suffer from dermatitis, but they don’t even know about it. The most effective solution you can get from is ketomac shampoo hair loss. There is no specific answer to what comes first, dandruff or hair fall. In reality, these two problems are parts of the same vicious cycle. While dandruff causes hair fall at times, hair fall can be the reason why you have dandruff on your hairs. Sadly, dandruff is not curable disease. Yes, you can keep it at bay but it is going to return with even a little laxity in the matter of care. And that is why experts say, you should use a good quality anti dandruff shampoo to beat both of these problems. Yes, there and numerous anti dandruff shampoos in the market, but there is no product more effective than Ketomac anti dandruff shampoo. Ketomac has ketoconazole in it which is an effective antifungal agent. By virtue of being antifungal in nature, ketoconazole, in turn, Ketomac can help you get rid of the problem of dandruff that leads to excessive hair fall. nextHow to Select an Anti-Dandruff Shampoo?